I just gobbled this story up as fast as I could. There are so many things to love about The Great Hunt, but mostly it lies with Higgins’ beautiful descriptions of the land of Eurona as well as her amazingly real characters. The story starts off a little slow, I will admit. From the synopsis, you already know that Princess Aerity’s hand will be given to whoever can kill the beast that has laid waste to the kingdom of Lochlanach. It just takes a long while for the plot to catch up to that point as the setting of the tale doesn’t immediately begin from there. That was where my impatience grew. However, that is the ONLY complaint I have with it. Here is what made the story come alive to me (and hopefully to you too). Right on the first page, the setting is beautifully told. Imagine a nice night out on the docks with your beloved. It’s the perfect place to be together and away from prying eyes. Nothing can destroy this beautiful moment. The roars of a beast, one that no one can fathom with their own eyes as it looks like nothing anyone has ever seen before — or at least, no one survived to tell the tale if they did. The cries of the couple. The desperation to get away and keep your beloved safe. The eventual relief that it left you alone. And the unspeakable, bone-chilling horror that the monster has taken from you the greatest thing possible. I mean, doesn’t that just set the mood? There’s something wild and dangerous out there, and no one’s safe. I could feel the desperation of the royal family, especially the king, as they had to decide on what they could POSSIBLY do to stop such a monstrosity. And if that wasn’t enough to get your heart racing, the characters may just do you in. First of all, let me tell you. There are absolutely TONS of characters in The Great Hunt. At first, it was hard to track down who was who in the royal family, and what kingdom was what (thank goodness there was some sort of index for that). But it speaks to how 3rd person writing – which is rather rare these days in YA – can sometimes drive an even greater connection between the reader and the characters that live in this world. You don’t always need an “I” in a story to gain that personal touch/perspective. So having this ability to follow along several key characters’ perspectives and thoughts, it made it easy to empathize and understand their situation, even when other characters couldn’t understand why so-and-so wouldn’t act the way they wanted them to. Along with connecting with characters, it was a testament of good writing when you can introduce so many different “nationalities” of people from other kingdoms that make up Eurona as they join in on the hunt for the beast. From fierce warrior women (yay! who says only men can fight?) to people I picture as Vikings with their broad chests and long beards, wearing fur-everything. Each group of people were unique, but so were individuals. In particular, a few characters just held my heart. I don’t normally fangirl much over love interests….but oh my. He’s not necessarily a bad boy character. He has his reasons for what he does, which I will allow you to figure out on your own (although it was fairly obvious once you read some key pieces of information earlier in the novel). He loves his younger brother dearly and would do whatever it takes to protect him. He may act indifferent and downright rude at times, but from knowing his perspective, it’s not his fault he chooses to do so. My heartstrings are just yanking at their ends for the unfairness of it all for him. If I have fallen for him, you can imagine how crazy it is for Aerity as she notices these very things as well. The underlying attraction and tension between the two of them is….I just have no words. It gets hot . Not with too many physical things going on, but I mean, if you were standing there beside those two, you would definitely feel that tension going on. It was palpable. I don’t know how Aerity’s cousin Wyn could stand to be with those two for long without blushing red FOR them. As for Aerity, she was a decent heroine. She didn’t want to go forward with the marriage deal in exchange for a dead beast. I guess I could understand that. 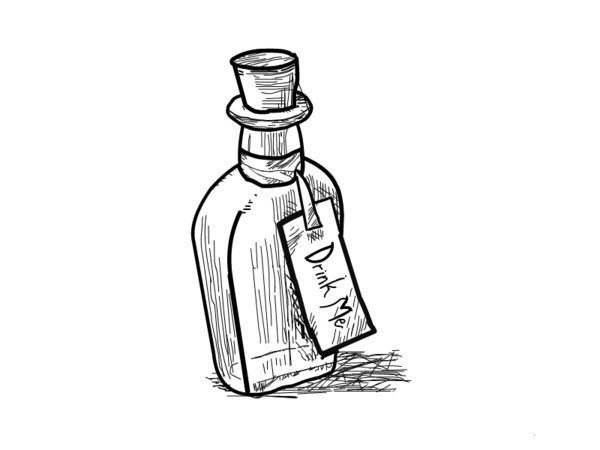 What if an old fart kills the darn thing and she has to marry him and….? But she braved through it. Kingdom first, after all. Good, Princess. She loved her siblings and her cousins more than anything. She had that kind spirit and heart for those in need, even for someone as unpleasant as Paxton was. Wyn’s storyline didn’t convince me as much. I don’t know how other readers will view it, but I prefer her strong and not in need of some man to help her and bring her out of the darkness that was unfortunately dealt to her. Oh, and I might be biased, but I think if there has to be some guy in her life, I’d prefer it to be the good lieutenant Harrison. Just throwing it out there. I must say, the ending was not altogether unexpected, but it’s driving me crazy that the wait is that much longer for me. I hope you enjoy the read as I have, and I am impatiently awaiting the next and last installment of this duology. Told in third person, Higgins delivers a beautiful tale of sacrifice, love and courage. A great monstrosity is terrorizing the land of Lochlanach and this brings great warriors from far and wide to help defeat it in exchange for Aerity’s hand. With an amazing cast of central characters, especially my dear favourite Paxton, their perspectives and stories draw you in as you dive into their lives and understand what’s at stake for each of them. 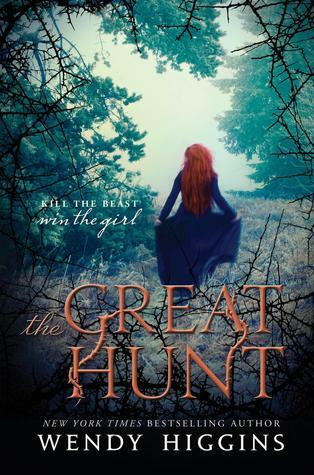 Full of action and magical intrigue as something darker is looming in the horizon, The Great Hunt is a fantastic read that can put a smile on my face and break my heart at the same time. A definite recommendation. Haha “Kingdom first, after all. Good, Princess.” Made me laugh!